If the cooling fails in your comms room right now, do you have a plan in place to ensure your infrastructure and applications will continue to operate? What if a fire broke out or you were subject to a natural disaster? If such situations are not planned for in advance, chaos can ensue. Even if there is a plan in place, has it been tested? If not, it could still fail when you need it most. In order to survive an event such as this, you need to have tested Disaster Recovery (DR) capabilities. If an entire site goes offline, you can keep your systems operational by failing over to a standby site that has a warm or hot copy of your data and the other infrastructure required to ensure mission critical business functions stay operational. Ensuring that data is up-to-date and available for use is one of the biggest challenges in setting up such an environment. Backup and restore is not really an option to reduce downtime during this kind of switchover. What is required is a continuous mechanism by which data can be incrementally copied over to the DR site. 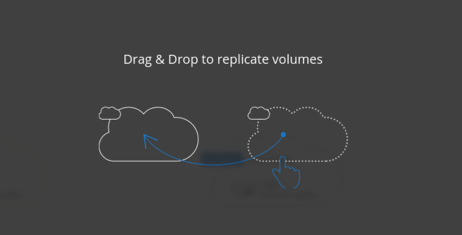 This article will help NetApp customers examine the benefits of using Cloud Volumes ONTAP for maintaining a testable DR copy of your company’s lifeblood – its data – and will demonstrate how easily you can go about setting up and replicating your current on-premises data to the cloud using Cloud Manager. The costs associated with running a duplicate and redundant site, in terms of physical location, infrastructure, network connectivity, administration, and maintenance, can often be very high, and sometimes prohibitively so. One obvious solution to all of this would be to make use of the cloud, however, this has not always been possible without introducing a lot of complexity. Without the ability to have ONTAP features available in the cloud, NetApp customers would experience a great deal of feature disparity compared with using their primary site. With Cloud Volumes ONTAP, these challenges are now a thing of the past. You can make use of ONTAP enterprise data management features in the cloud, backed by (Elastic Block Storage), and integrate this with your on-premises NetApp devices. Along with using ONTAP to manage your data across different sites, instances can be used to build out the rest of your DR infrastructure. Pilot Light and tools such as Cloud Formation, can be used to control infrastructure costs by allowing for critical services to remain active, while other services are provisioned, and therefore only start incurring charges, on failover. NetApp’s SnapMirror provides intuitive and efficient data replication, which can be used to keep your data synchronised between on-premises and cloud installations. A snapshot is used to synchronize the cloud instance with a complete copy of the source data, after which block changes are sent over incrementally. Deduplication is a low-overhead mechanism for collapsing multiple copies of the same block to a single block, thereby reducing required storage, often dramatically. When enabled, this feature works automatically behind the scenes, without needing any special consideration by users or applications when reading and writing data. Compression is another transparent and efficient storage feature that allows for data on a volume to be compressed, and can be used together with deduplication to further reduce the amount of storage you’re using. SnapMirror will replicate data in deduplicated and compressed form, thereby reducing the network bandwidth required to keep the two sites in sync. FlexClones can be used to ensure your DR systems really work when you need them most! They allow you to create writable copies of your existing data that require no additional capacity, with all writes stored in a separate storage volume. Not only are FlexClones space efficient, but they are also very fast to create and use, allowing for multiple copies to be used in parallel. These characteristics make FlexClone ideal for disaster recovery tests (for example, when bringing up DR systems to ensure they are functioning correctly). In such a scenario, production data can be read and written safely, with the clones destroyed after the test is complete. Such testing is often neglected to disastrous effect. Cloud Manager handles the setup of new instances of Cloud Volumes ONTAP, including the provisioning of AWS resources. In addition to providing a web-based UI, there is also a REST API to allow for integration with other deployment tools, such as Puppet, Chef, and Ansible. Although you can set-up SnapMirror replication to the cloud manually, just as you would for a secondary site installation, Cloud Manager dramatically simplifies this process by using a wizard to configure the SnapMirror relationship automatically. After logging in to Cloud Manager, you can start to create a new Working Environment where you can create an Cloud Volumes ONTAP system, or discover your on premises ONTAP systems. resources, such as geolocation, instance size and data encryption. 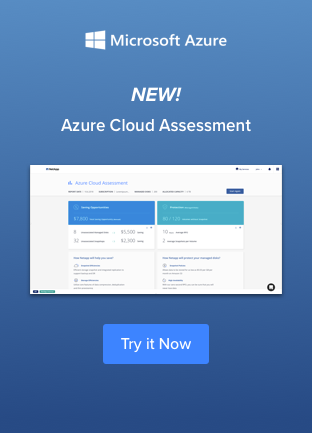 Cloud Manager will use these values to automatically provision the resources to build out your cloud environment, all with the click of button. Alternatively, you can also choose an Azure deployment. 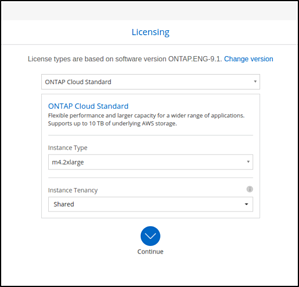 When choosing the instance size, you will also be asked to choose the Cloud Volumes ONTAP licensing model you would like to use. This will be used to determine the amount of raw storage available to the Cloud Volumes ONTAP instance. Another important area of configuration involves selecting the type of AWS EBS disk you would like to use and the capacity. The choices include General Purpose SSD, Throughput Optimized HHD and Cold HDD, each having different price and performance characteristics. At the end of the wizard, you’ll be asked to review the information you’ve provided, and Cloud Manager will then proceed to initialize your new Cloud Volumes ONTAP instance, which will take a few minutes to complete. While this is happening, you can proceed to use Cloud Manager to discover your on-premises system as another working environment. In order to do this, you’ll require the Cluster Management IP Address for the on-premises system as well as login credentials. Now let’s imagine you have a production file share containing critical files that need to be available to users at all costs. 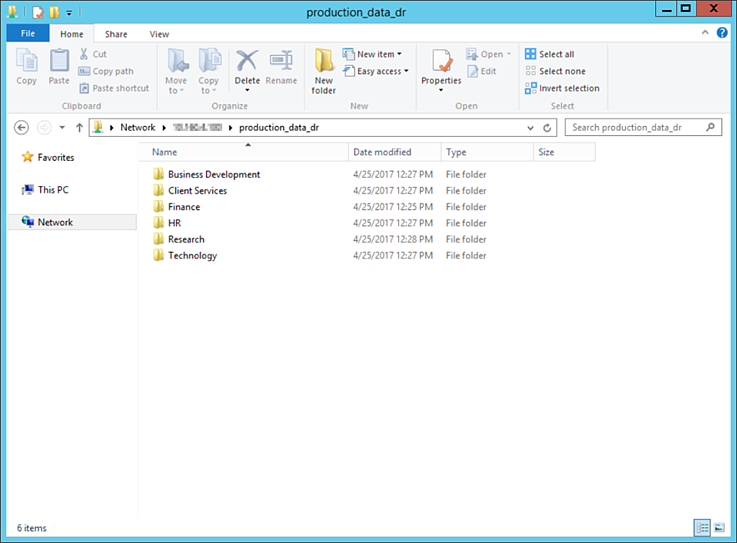 This file share exists on your on-premises FAS system with users accessing and modifying those files throughout the day. You’re now in a position to set-up SnapMirror to create and maintain a copy of those files in the cloud. Cloud Manager simplifies this for you as well. 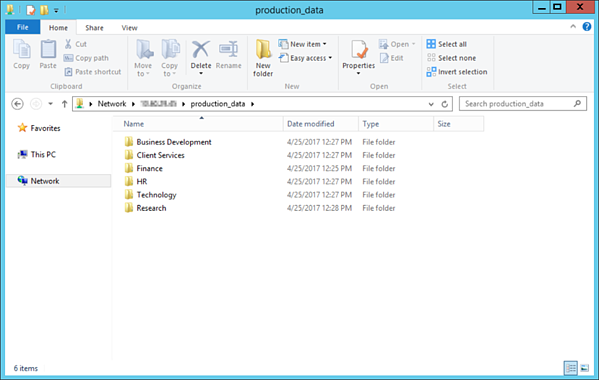 Simply drag the on-premises working environment you’d like to use as the source, and drop it onto the Cloud Volumes ONTAP destination. This will fire off another wizard for you to select the source volume to be replicated, as well as other options such as the frequency at which the sites should be synchronized. You can also limit the Max Transfer Rate, which allows you to control the amount of network bandwidth to be used during a synchronization operation. And that’s it; at the end of the wizard, Cloud Manager will take care of the heavy lifting involved in replicating your data. If we now take a look inside the replicated volume, we’ll see the same files we saw in our original volume. Setting up a Disaster Recovery site has always been a costly and complex task, requiring a large coordination of effort even to get just the basic infrastructure in place. With Cloud Volumes ONTAP, NetApp provides compelling technology for enabling the cloud to meet your disaster recovery needs. This gives customers a highly available NetApp installation in the cloud that can be accessed and used just like an on-premises system. Another way to get even more value out of a simplified Disaster Recovery Cloud Volumes ONTAP installation would be to use it as a DevOps environment. Using FlexClone, system developers can have multiple test copies of the data without impacting live systems. You can access and try out Cloud Volumes ONTAP free for 30 days by using OnCommand Cloud Manager, available through the AWS Marketplace.